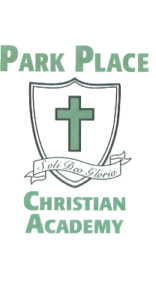 Park Place Christian Academy is a ministry of the church and meets on our campus. The academy provides a distinctly Christian education that has academic rigor and yet leads out in areas such as missions and athletics as well. PPCA has over 600 students ranging from K3 thru 12th grade. God continues to bless the academy with numerical, academic, athletic, and spiritual growth each year. Ted Poore is our Head of School and leads out in providing a wonderful family-like environment for the students and faculty. To learn more about the Academy, click here.